Hang it by the copier, or use it as a handout during a staff meeting, to improve school climate. Try a strength-based approach to assess and improve social-emotional competency with Evo Social/Emotional, featuring the Devereux Student Strengths Assessment (DESSA). Grab a free trial! 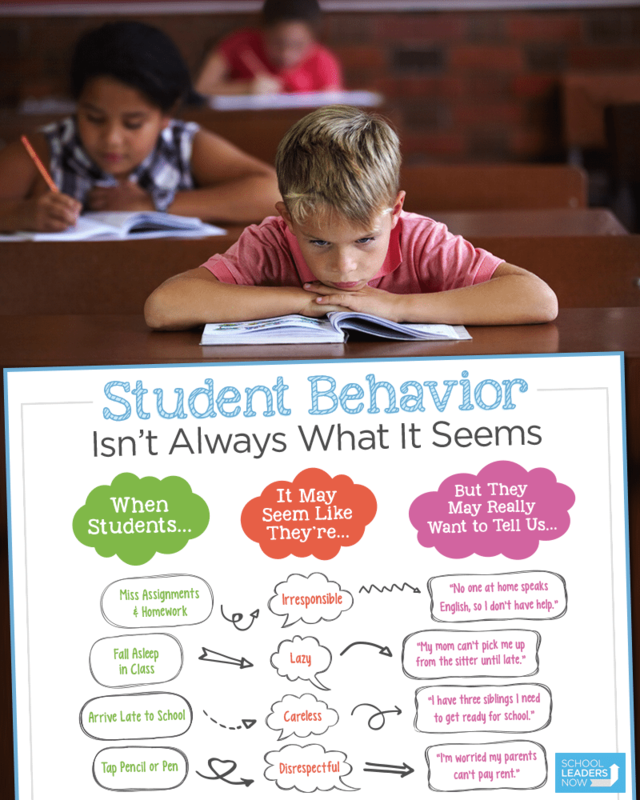 It’s easy to label negative student behaviors as “problems,” especially when our time is stretched thin. Is the student tapping his pencil being disrespectful? Or is he worried his parents can’t pay rent? You can improve your school climate with a shift in mindset. Just hang this poster in the teachers’ lounge or near the copier. Share it during your next staff meeting. 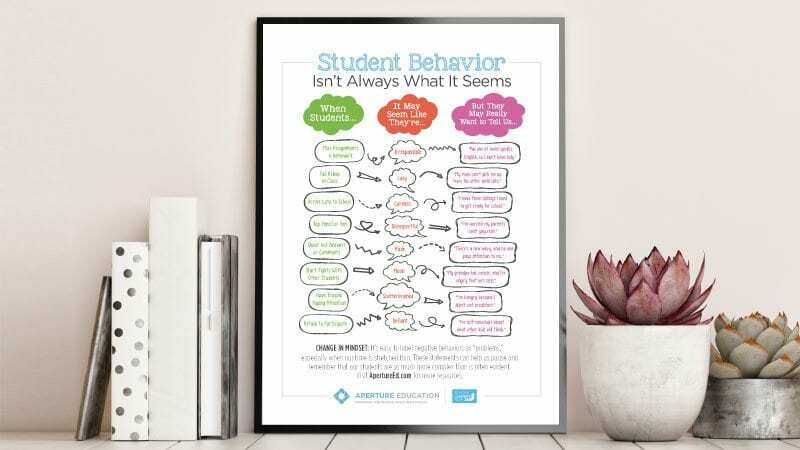 It can help start a discussion that encourages teachers and staff to pause and remember that our students are so much more complex than what is often conveyed by their behaviors. I’m confused. It says free downloads but will only allow one download. How do we get more of the free downloads??? I am from Canada and it will not allow me to download the poster. Yes! Please send me the School Leaders Now e-newsletter packed with great teaching ideas and giveaways. Yes! Please send me news and offers from Aperture Education.